Any of you guys owned his pots? What combo where they and what did you think about them? They look pretty sharp. I have a slate over glass in a Purpleheart pot and one of his pocket calls is a Black Limba pot. Both sound good if you like a nice mellow tone. Which is why I bought the calls I did, I wanted a mellow tone vs. the raspy glass type tone. That doesn't mean all his calls sound that way. He will play them over the phone for you if you like. Both are beautiful as well. His strikers lack though. 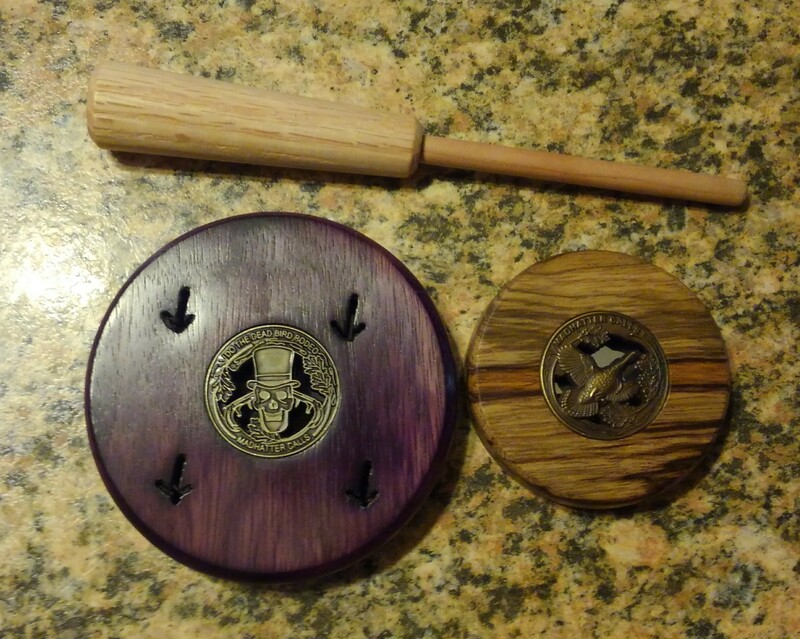 Redbeard Pocket Player, 2.5" Slate over slate in a cedar pot is a very good soft talker call. His copper call is one of the best. I agree, a very deadly call design. Copper /cocbola go to pot.